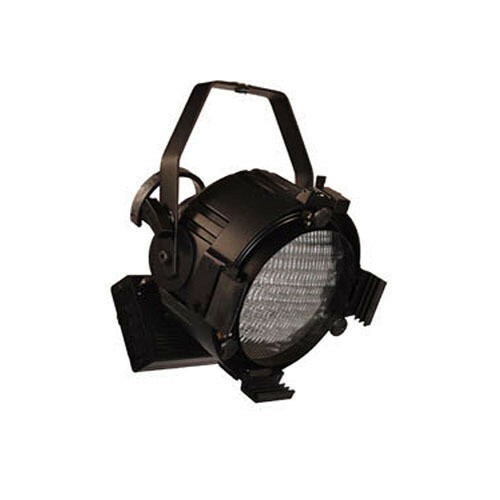 The die-cast Altman Spectra Star White PAR 100W LED (Silver) is a rugged, lightweight, fixture with DMX control and RDM bi-directional communication capability. The luminaire uses warm white LED emitters that yield a flicker-free color temperature of 3,000K. The fully rotational lens holder conveniently accepts the included VNSP, NSP, MFL, WFL lenses, which are interchangeable without the use of tools. The removable, two slot accessory holder has a self-closing, self-locking, retaining latch for safety. Lens 4 Borosilicate glass 8" diameter PAR64 lenses provided (total of five lenses available). Fully rotational lens holder provided with three insulated finger tabs. Accessories Removable front-end accessory holder equipped with two slots accepting standard 10" (25.4 cm) accessories. Accessory holder retaining latch self-closing and self-locking for safety. Box Dimensions (LxWxH) 20.1 x 20.1 x 18.3"